E. P. Carrllio Cigars recently hosted a contest to promote their new Seleccion Oscuro line and guess what? I won a 5-pack of these outstanding new cigars. Hand-made in the Dominican Republic this Seleccion Oscuro features a Mexico San Andres wrapper over a binder from Ecuador and long fillers from Nicaragua. So that's how it's made it's made, but how does it smoke? From the cold foot I found a pleasant aroma of sweet, fermented tobacco and after clipping the triple cap, the draw is free with the same sweet fermented tobacco flavors. Along with this, the hearty, toothy Oscuro wrapper left behind a nice sweet cocoa aftertaste on my lips. After toasting the foot, the first medium bodied mouthfuls of smoke had a flavor mix of sweet fruit, cocoa and a hint of toast. 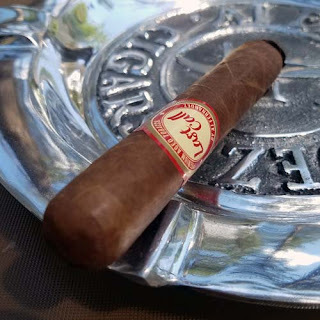 As the sharp burn line moved toward the cigar's mid point other flavors of nuts, oak and mild black pepper moved in to dominate the tasty flavor mix. In the final third the flavors really shifted and the cigar moved into the medium/full body range. The sweet cocoa was back along with a hint of coffee, cream and charcoal providing my favorite flavor mix of burnt mocha. Delicious! 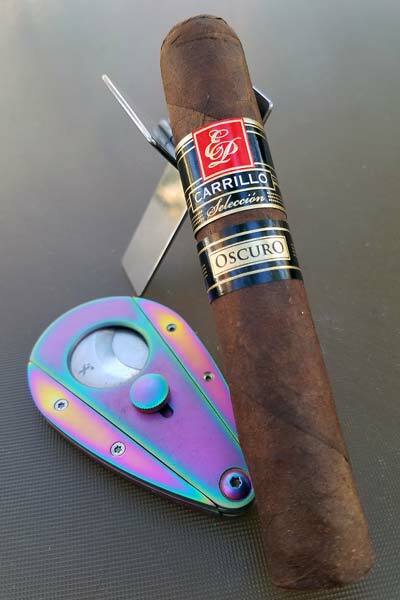 You probably know that I'm a quick smoker, but this E. P. Carrillo Seleccion Oscuro Robusto gave me a more than respectable sixty minutes of smoking pleasure. Overall I though this was an amazing cigar and I've already smoked most of my 5-pack. If you get a chance to smoke this cigar, don't pass it up. Jason Holly Of Viva Republica To Unveil "Ivy"